There aren’t many civilizations that are older than the Romans. The city of Rome was founded in 753 BCE! A city that old, with such an amazing history, will of course have some eerie stories. 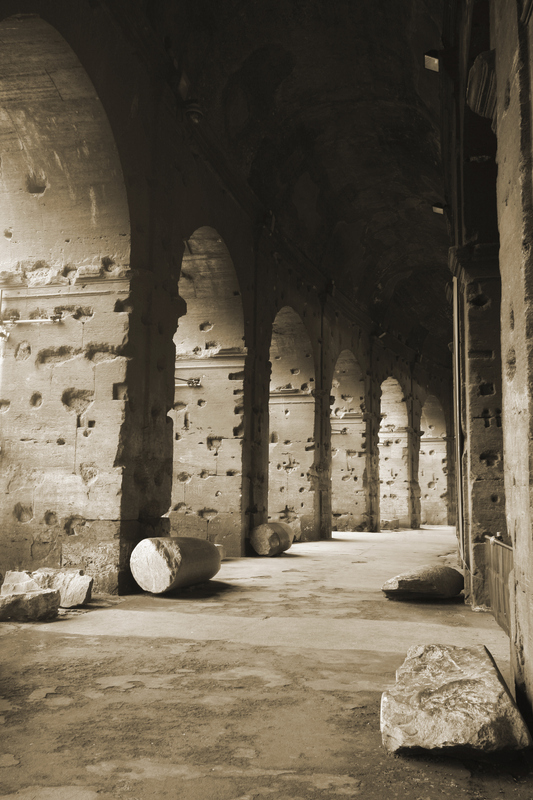 There are several infamous ghosts that haunt Rome. One of the ghosts is Beatrice Cenci. Beatrice is said to show up, carrying her head under her arm, in the square of Castel Sant’Angelo every year between September 10th and 11th. She was beheaded in 1599 along with the rest of her family because they murdered their sadistic father (family problems have dated back to ancient times). This whole ordeal would have been avoided if the authorities had just listened to Beatrice about her families treatment and if noblemen were held to the same standard as commoners thus receiving the same punishments. Perhaps Beatrice likes to hang around Castle Sant’Angelo to remind the Popes that her death was a direct result of Pope Clement VIII’s cruelty. Then, there is also the Colosseum with its own eerie stories. For years, this stadium was used for entertainment, mostly in the form of death of either humans or animals. Julius Caesar has even been seen crossing across the stadium! John Keats roams around the house he died in located just off the Spanish Steps, which is now the Keats-Shelley Museum. Perhaps the funniest ghost in Rome is that of the Friar of Montecitorio. Many people report being slapped by him in the Italian Governments Deputy’s Chamber! A Carabiniere guarding the Pantheon once reported having a conversation with King Umberto I who likes to meander around the area every now and then. This entry was posted on Thursday, October 10th, 2013	at 1:24 pm	. You can follow any responses to this entry through the RSS 2.0	feed. Both comments and pings are currently closed.